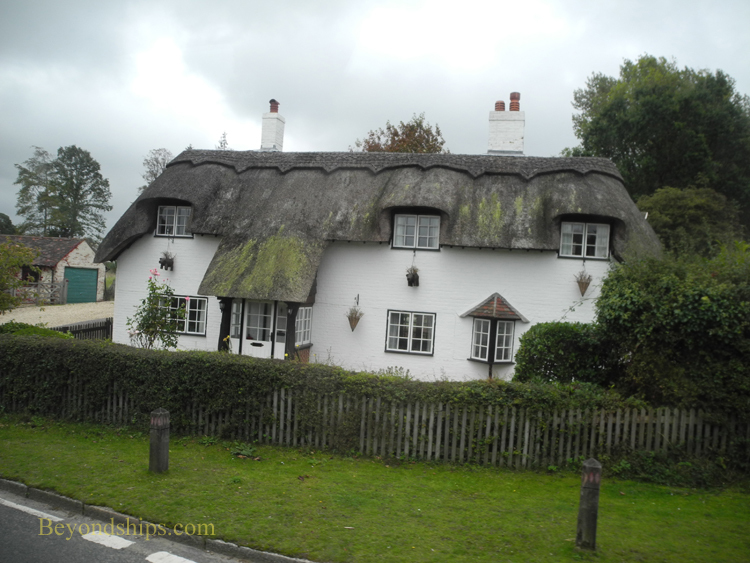 The New Forest is charming. 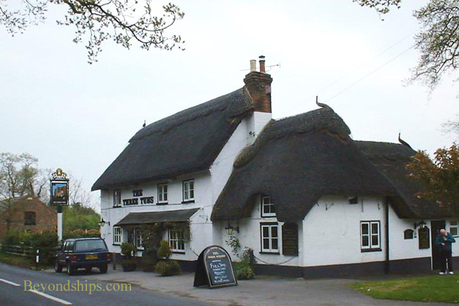 It contains most, if not all, the elements that you think of when you think of the English countryside - - thatched roof houses, quaint villages, centuries old churches, traditional pubs, pretty countryside, gardens and flowers, a stately home or two and lots of history. Actually, the New Forest is not new nor is it a forest. 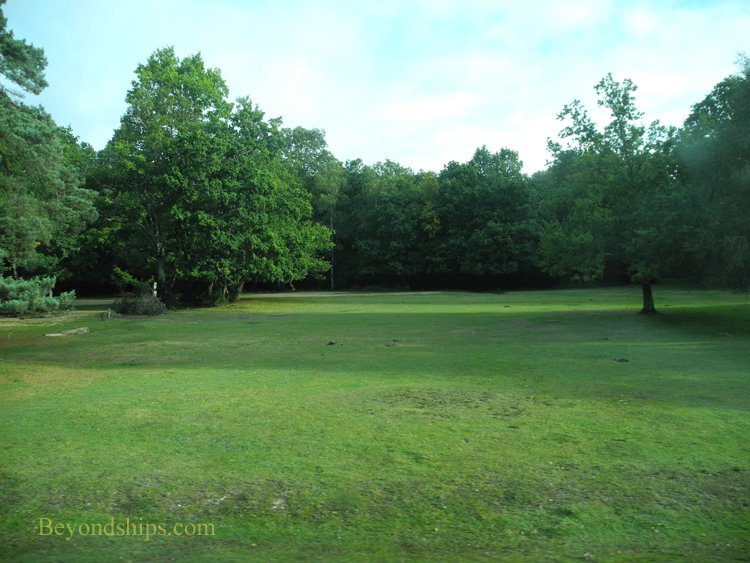 It was “new” in the days of William the Conqueror in the 11th century in the sense that it was the latest area to be declared a royal hunting preserve. Thus, despite the name, this is not something that was put together recently. Neither is it a stand of tall trees in a wilderness. 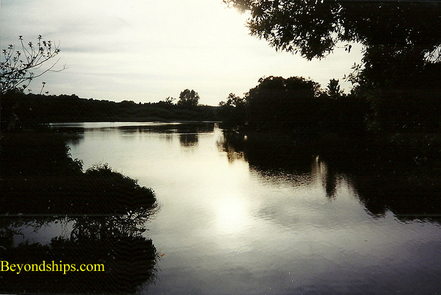 It contains a variety of different environments including wetlands, fields, meadows and, yes, stands of trees. In addition, as noted earlier, it includes villages, businesses and homes. However, all of this variety comes together to form a picturesque rural whole. A large part of the New Forest is a national park. Much of it is still Crown land as in the days of the Conqueror. But there is a sizeable number of people who live there. Many are relatively well-to-do as the area is quite attractive. The New Forest is in south central England. The nearest city is Southampton, which makes the New Forest a convenient place to visit in connection with a cruise. Inasmuch as you will want to explore a wide area, it is best to do so with a car or via an organized tour. Although the area has been occupied since the Bronze Age, the pertinent history of the New Forest begins with William the Conqueror. William was the Duke of Normandy and in 1066, he invaded England and defeated the Saxon King Harold at the Battle of Hastings. In the years that followed, William built castles and took actions in order to strengthen his hold on his new domain and to enhance the power of the king. One of these steps was to declare a sizeable area of south central England, a royal hunting preserve in 1079. Beyond giving William a place to indulge his passion for hunting, seizing this area ensured a supply of fresh meat for the court as well as a source of income. Accounts of large scale evictions of peasants and the burning of their houses are probably unfounded. However, William's declaration was not popular with the Saxons who lived in the New Forest. With it came the imposition of the Forest Laws. The object of these laws was to protect the deer and their ability to forage. Among other things, the inhabitants were restricted in collecting wood for fuel. 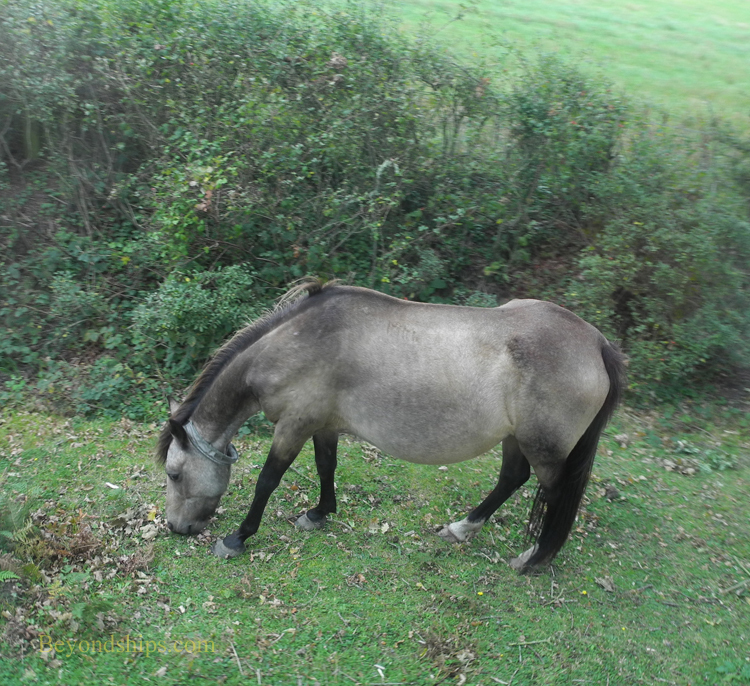 Nor could the inhabitants enclose their property or build fences to keep their animals from wandering. Over the years, the penalties for violating the Forest Laws grew to include not just fines but flogging and mutilation. In compensation, the king allowed the inhabitants of the forest to graze their animals on the Crown property. Over the centuries, this grew from a privilege into a right. 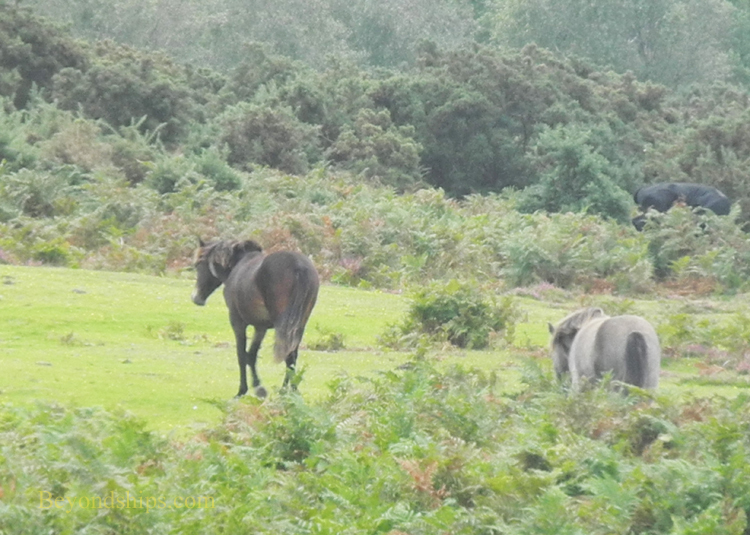 As a result, a common sight in the New Forest are horses, ponies, cattle and donkies roving at will, indifferent to human onlookers. They are not wild but rather have owners, at least in theory. By Elizabethian times, the New Forest had taken on a new role - - supplying timber for the Royal Navy. Areas were selected on a rolling basis and planted with new trees for future ships. They were enclosed until the trees became big enough to withstand the nibbblings of the deer population. The boundaries of the Forest changed over the centuries. Some monarchs added to the Forest. But many saw it as a source of revenue, selling portions to others or allowing other areas to be cultivated. A vestige from the Middle Ages, ponies and horses wander the Forest. By the mid-nineteenth century, iron ships were replacing wooden ones and there was no longer asmuch demand for the Forest's timber. At the same time, people were recognizing the picturesque nature of the Forest. As a result, Parliament passed laws to protect the Forest and improve its infastructure. Furthermore, the rights of the inhabitants were enhanced and codified. During the two World Wars, the Forest was used as a staging area for troops going to France and the Continent. There were some 12 airfields built in the Forest during World War II. In the second half of the 20th century various laws were enacted to protect the Forest, its animals and its inhabitants. Provision was made for planting ornamental forests. Fences were built to keep animals from wandering onto roads and out of the boundaries of the Forest. The Forest Laws were formally repealed. 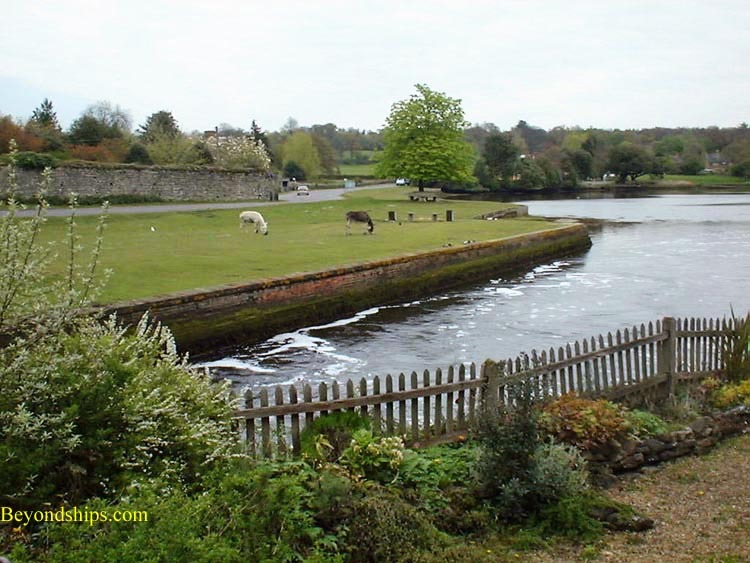 In 2005-2006, the New Forest became a national park adminsitered by the New Forest Park Authority. The New Forest is home to a variety of attractions where you can spend an entire day. A few of these are described below. 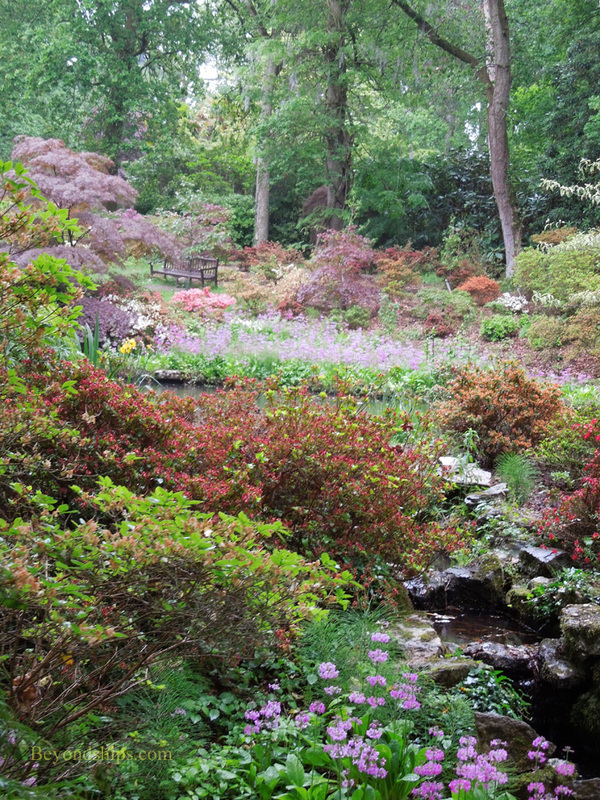 One of the New Forest's most popular tourist attractions is Beaulieu. 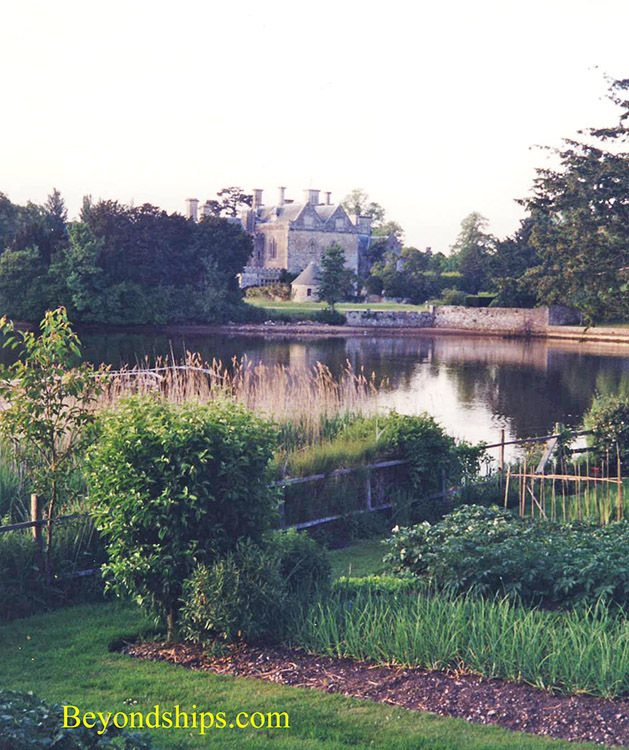 The ancestrial home of the Montaqu family, Beaulieu encompasses the Palace House, a mansion, portions of which date to the 13th century, that remains the home of Lord and Lady Montaqu, as well as the remains of Beaulieu Abbey, which was founded by King John. It also includes the National Motor Car Museum with a collection of vintage automobiles as well as exhibits such as vechicles from the James Bond movies. 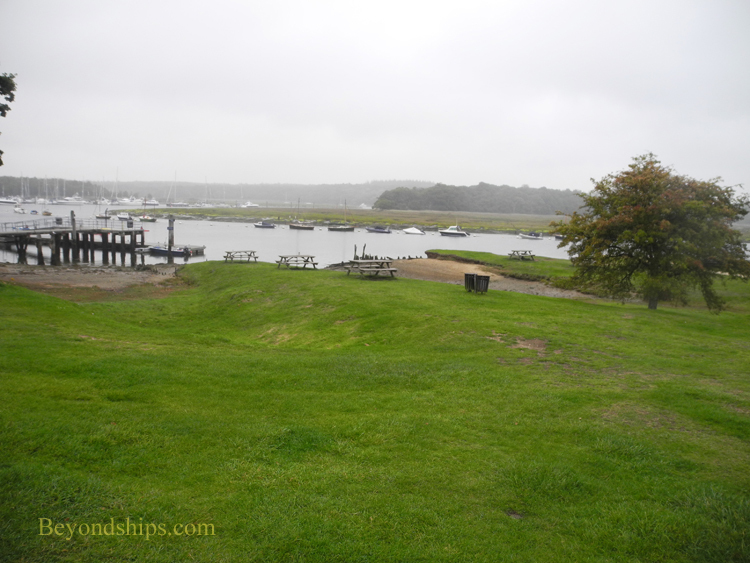 On the banks of the Beaulieu River is Buckler's Hard, an 18th century shipbuilding village. Britain's rise as a world power was due in large part to her navy and timber grown in the New Forest helped to build the "wooden walls" of England. 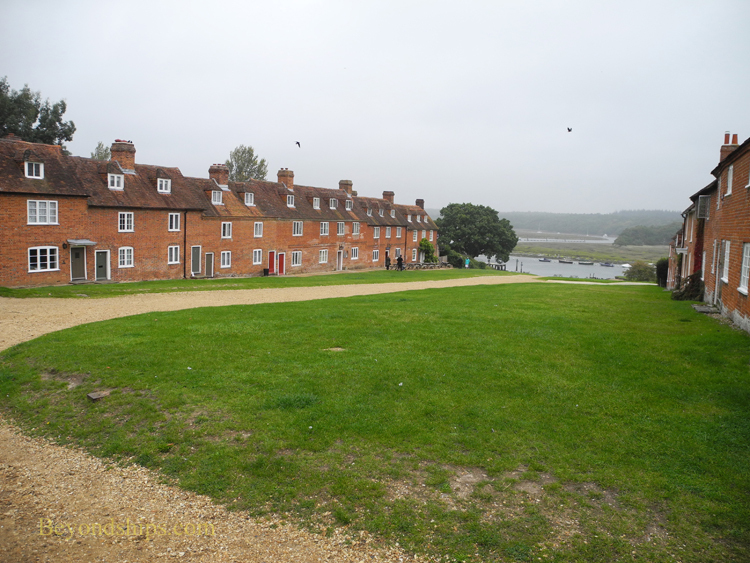 Indeed, among the ships built at Buckler's Hard was HMS Agamemnon, which was once commanded by Admiral Lord Nelson. 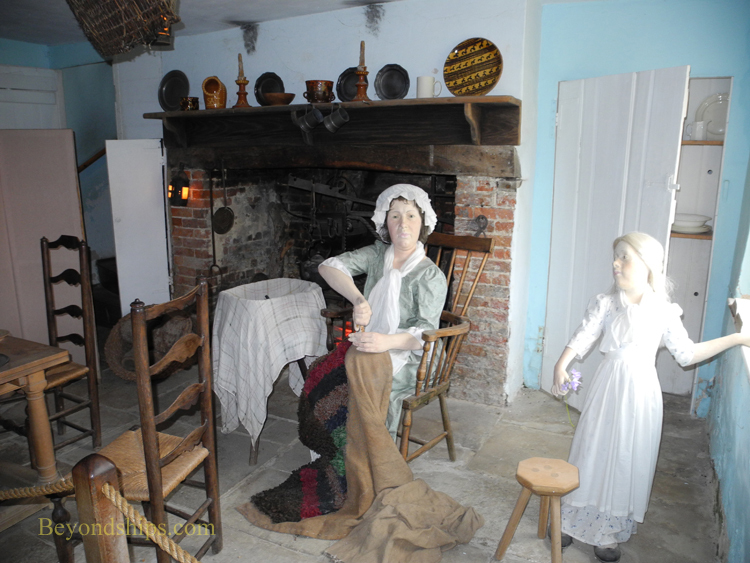 Today, much of the village has been restored to what it was like in those days. 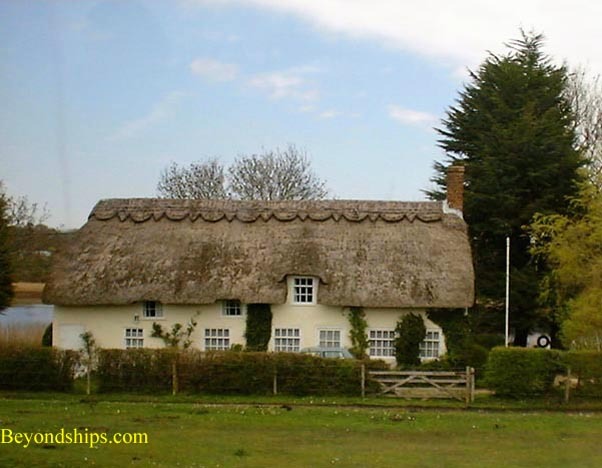 You can visit the shipwright's cottage, the chapel and the pub. Along the river bank, you can still see the outlines of where the ship's were built. In addition to the village itself, there is a maritime museum, an apple orchard, a woodland walk and a river cruise option.